The FFS has two new locations this year (Lynnwood, a suburb of Seattle, and Winston-Salem), but one of the biggest challenges we face is creating a fresh showfor our older locations.Many show locations have been the same for 5, 10, or 20+ years which is great for planning your annual visit, but how do we create a new experience? Exhibitors often invest thousands into their booth and it is meant to last for years which makes it hard for them to change. (We can tell you that several manufacturers have developed new booths this year!) Besides the best chance to see all the new gear in one location, every year there are dozens of new exhibitors displaying merchandise, art, fly tying materials, and the best new travel locations. We have many new fly tiers each year demonstrating, and many new talks to attend. We have new private classes offered in the mornings and new celebrities to meet. Many presentations may only be available once and there is more to see at every location than you can do in one day.Last year we added the International Fly Fishing Film Festival for some after show entertainment. It was a huge hit and will continue this year with an exciting new list of must see films. Plan to see all the new stuff and return to your old favorites at the Fly Fishing Show this season! Meet the Pop Fly guy himself in California this show season. A member, former president and executive board member of the Saltwater Flyrodders of America, Bob helped pioneer modern day saltwater fly fishing in the northeast through his ground breaking fly tying concepts and teaching of the sport to anyone who was interested in learning. From his early introduction of the Surf Candy design in the mid 1970’s to such sport standards as the Hollow Fleye, Siliclone, Pop-lip, Ultra Shrimp, Bucktail Deceiver, Bob’s Banger, 3-D, Cotton Candy, and Shady Lady Squid. Meet this Saltwater legend in Pleasanton, California February 22-24, 2013.
to the world’s largest fly-tying event. Fly Fishing Show family on the water on Facebook! 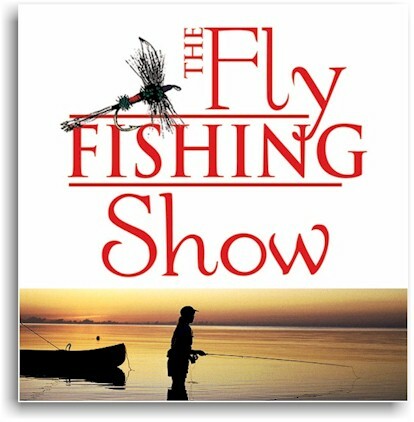 This entry was posted in Dan Blanton, Fly Fishing Show Schedule, Industry News. Bookmark the permalink.